Fibers from the flax plant – incipient linen. Source: Wikimedia Commons. Linen is part of a group of fibers called bast fibers. Rather than having to do with the Egyptian cat goddess, bast fibers are those created with part of a plant’s stem or stalk. Ramie and hemp are also bast fibers. Jute and kenaf are yet more bast fibers, but you’re unlikely to encounter them in any costuming or clothing context. 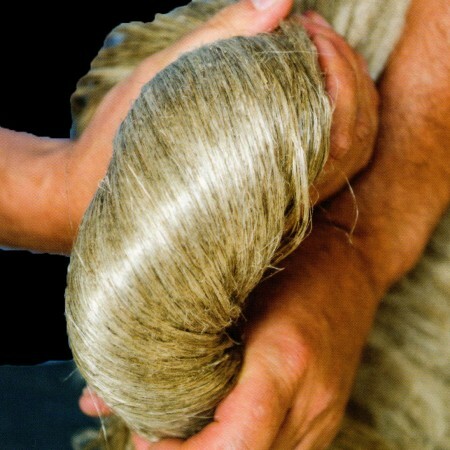 Linen yarn is spun from the fibers of the flax plant. Generally, linen yarn is plain-woven into light and middle-weight fabric and used for shirts, trousers and other outer garments. It’s also used for some decorative purposes – table runners and suchlike – and smaller utility items, such as napkins and handkerchiefs. It’s another one of those ancient fabrics we’ve had since time immemorial. The word “linen” is sometimes used to refer to fabric or items that were once generally made from linen, but are now made from other plant sources – “bed linens”, for instance. Strictly speaking, it’s only linen if it comes from a flax plant. Compared to most other plant-based fibers, linen has a long ‘staple’ (an individual strand of the fiber) and so can be stronger than cotton, once it has been spun and woven. If environmental impact is a concern of yours, its worth noting that linen has a smaller carbon footprint that cotton, as it requires less water and less processing to produce – although, as ever in the textile industry, disposition of chemicals and contaminated water are always a concern. Linen yarns are smooth and relatively soft. 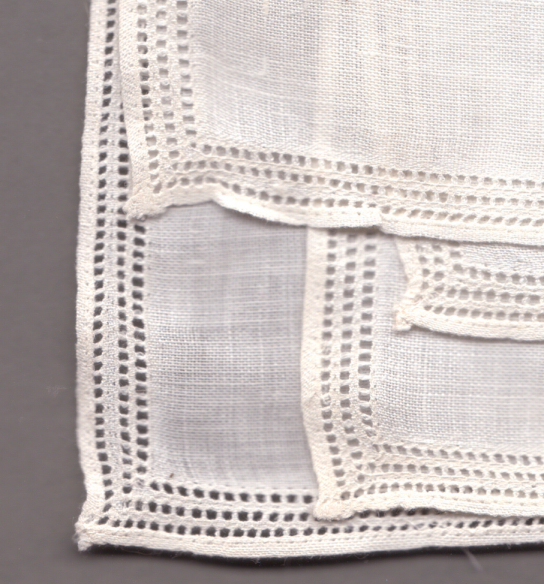 Linen fabric gets softer over time as its washed – softer but not necessarily weaker. Linen yarn is very durable, but it wrinkles easily because the fibers aren’t very “elastic” – once a crease is in there, the fabric doesn’t spring back. And that’s why you’re better off hanging your linen garments in the closet, rather than folding them up in a drawer. That’s also why tossing it into the washer isn’t the ideal way to clean it (see below). Linen is a popular choice in warm climates, as it doesn’t retain heat as much as some other fibers. (There’s a reason it was incredibly popular among the ancient Egyptians.) Today, it’s popular for shirts, blouses and dresses, although you better be prepared to spend a lot of time ironing if you’re going to use it. Like silk, linen fabric can be smooth or “slubby” – a rough texture incorporating natural elements of the fiber. Like silk, those slubs aren’t a sign that the fabric is weaker than average or of poor quality – it’s just an aesthetic aspect. Linen can be washed in a washing machine but it’s better to gently hand wash it, if you can – and the water should never be more than 70F. Me? I always wash anything linen in cold water, to save from dithering about what exactly is “lukewarm”, anyways. Linen isn’t as prone to shrinkage as most natural fibers are. Five percent shrinkage is typical, although some fabrics might shrink up to 10%, so keep that in mind when estimating yardage. As usual, the “always pre-wash your fabric” rule applies, best done gently and by hand, if you can manage it. Linen can go into the tumble dryer (on low) if you’re in a hurry, but repeated tumbling will lead to a degradation of the fiber over time. Unlike wool, linen can be hung up when wet with minimal danger of permanently stretching out, but laying it out flat / across the top of a clothes horse is best. When ironing it, it’ll take a hot iron, but you should turn off the steam and iron with the grain, whenever possible.